If custom design and interior aesthetics get you out of bed in the morning then it might be time to make the switch and enhance your home with modern lighting accessories. 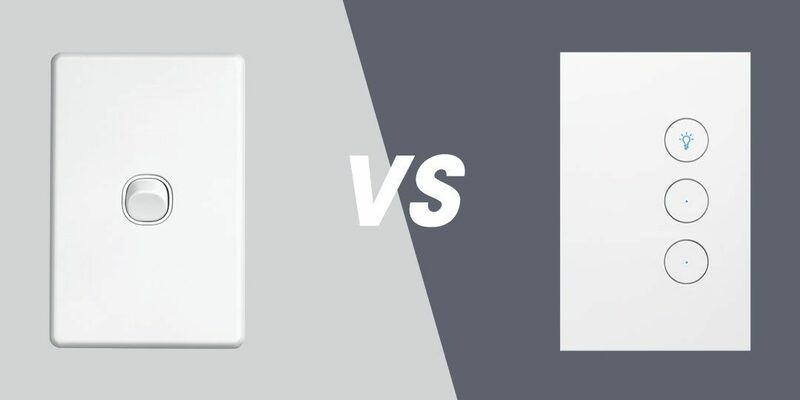 The humble light switch has come a long way, now with a wide range of on-trend colours such as black, charcoal grey, titanium grey and white, creating a seamless experience room to room has never been more achievable. Update everything from wall switches, power outlets, communication plates (tv, phone, internet), fan controllers, dimmers and cooker switches. Giving you the stylistic freedom to mix and match face plate colours and finishes to suit your decor and mood. Perhaps it’s a softer choice to complement neutral tones in the bedroom, whilst adding contrast with a matte black switch in a modern white kitchen. For an extra bit of indulgence, choose from luxe finishes such as glass-like durable polycarbonate, galuchat (stingray leather), wenge wood and woven metal. For those after a subtle style but don’t want to compromise on the functionality and convenience of a modern switch, there’s plenty of choice here too. Classic ranges have clean lines, come in elegant whites and still have options for usb charger inputs and led switch indicators, combining timeless aesthetics with modern day benefits. Style doesn’t have to cost the earth either. Select from an intelligent range of sensor and time switches that help reduce energy wastage and save you money. So whether you’re building an inspired new home or a style-seeker renovating to create your dream space, remember design is all in the details.